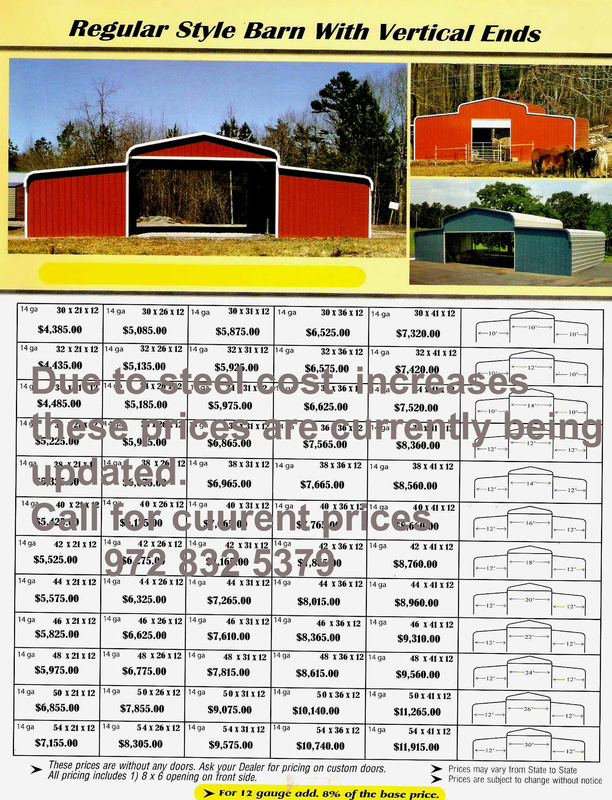 Due to recent price increase in steel the following prices are no longer valid. Add 30% to listed prices for an estimate of current prices. Call for written quote.